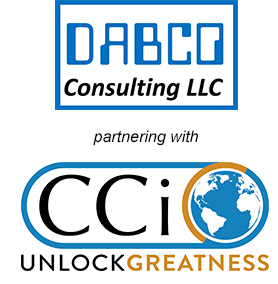 DABCO and CCi: Partnering together; partnering with you! In the Fall of 2016 DABCO Consulting partnered with Competitive Capabilities International (CCi) to develop a product to help manufacturers prepare for, and get the most out of, their ERP implementations. Blending DABCO’s ERP implementation knowledge and experience with CCi’s integrative improvement methodology and tools, the two partners collaborated for over a year to create ERP Optimization TRACC – a truly unique and innovative product with powerful capability unlike anything on the market today. Contact us today to take advantage of our “Early Bird” pricing, and enjoy all the benefits that ERP Optimization TRACC has to offer.